If you have a sizable collection of DVDs, you may also have a standalone player on which to play them, or a multi-function device such as a game console or PC. But what if you want to watch them digitally or on the go? If the possibility of doing that sounds good to you, you're in luck. You can use HandBrake, a free and open source video encoding tool, to convert those DVDs to the MP4 file format. Why Convert DVDs to MP4? You can place these files on a storage server and play them with the Plex system, for example. You could simply copy them to your phone, to enjoy on the go. You can make a backup copy, in the event the physical discs were ever damaged. However, there are two legal issues with ripping a DVD. 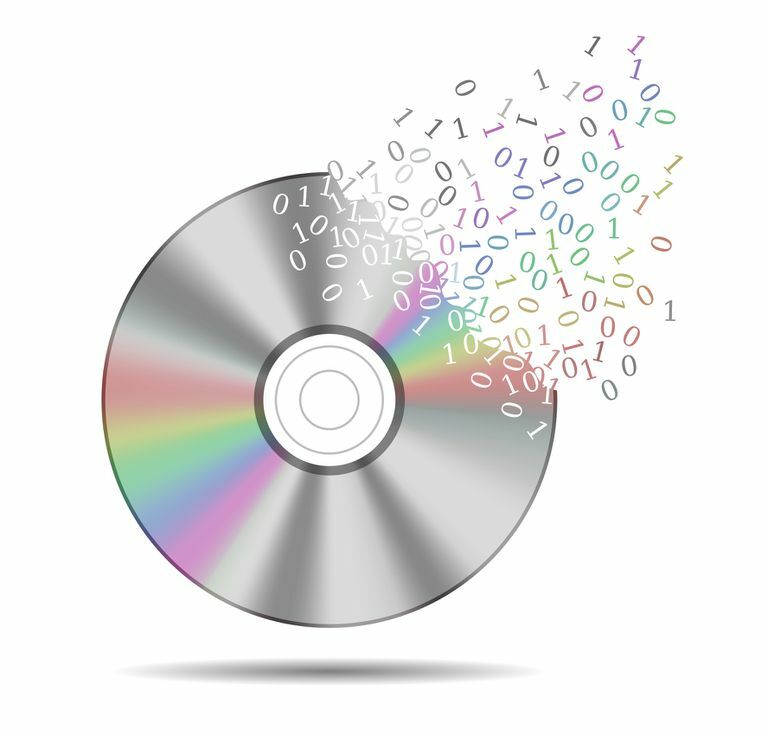 The grey area is the ripping process involves defeating the digital rights management (DRM) that protects the DVD, which is technically a violation of the Digital Millenium Copyright Act. The second is ripping media makes it tempting to share the resulting content over networks such as BitTorrent, which amounts to piracy. However, if you make sure to keep the results of your work for your own, personal use, you'll be fine. The installation process for the HandBrake application itself is as painless as they come. Once you've downloaded the Windows installer from the HandBrake site, you can double-click it and quickly run through the installation. The first screen contains a simple welcome message. Select Next to continue. Select I Agree to accept the software's license. This is the GNU Public License (GPL), an open source software license that governs a lot of free software. Since you have access to the software's source code, the GPL basically says you won't take that code and use it to create a proprietary product. The installer will offer to place Handbrake within a standard folder: C:\Program Files\HandBrake. You can install it here or elsewhere, just select your folder and select Install. The files will begin to copy over to your machine at this point. This is a really quick process. The final screen will confirm the installation. Select Finish to close the installer. Once HandBrake is installed,, you'll need to take one extra step in order to rip your DVDs. Download this libdvdcss-2.dll file from the VideoLan project (makers of the excellent VLC media player). Copy the .dll file into the HandBrake install directory. This will be "C:\Program Files\HandBrake\" if you kept the default install location. The version of libdvdcss-2 we're using is a bit older because it's the last one the VideoLAN project made available as an easily-installable binary. If you browse through later versions, the only release is .BZ2 files. Inside these you'll find source code you can compile yourself, but if you want a quick, point-and-click install, v1.2.11 will do just fine. Now, you'll be ready to make your movies digital. Getting HandBrake going on your Mac is even easier. Head over to the HandBreak website and download the macOS .DMG archive. Double-click to open it as usual, and you'll see two items within: doc, which contains documentation, and the program itself in .APP format. Simply drag and drop this into your Applications folder, and HandBrake is good to go. We will also need to add the libdvdcss-2 library if we're to rip your DVDs. This takes a little more effort, but the easiest way is to install it from the Homebrew project, which is a Linux-style package repository and installer for macOS. Click Install to install the development tools. If you click Get XCode, you'll be prompted to download the full XCode application, which you don't need. Click Agree to accept the XCode License Agreement. It may take some time for the tools to download, but you'll see a handy progress bar. Once the process finishes the tools are installed. There's a lot of technical stuff going on here, but basically Homebrew is downloading the code for libdvdcss, building it, and installing it for you. The library will now be available for HandBrake to use. You can now launch the GUI HandBrake from your applications menu, or the command line version in your favorite terminal. As with macOS above, getting this library requires you install some development tools on your system. Even if you're not a programmer these are OK to install, and they may be useful for other types of software, like automatic hardware driver updates. The above message is a little cryptic, but it's letting you know it will periodically download and update libdvdcss as new releases are available. If you haven't already, insert the DVD into your PC's drive. Either select Open Source on the toolbar, or select File > Open Source. The drive should then show up. This is referring to the media source, not open source software. Select the DVD drive with the video you want. This screen may look slightly different depending on your system, but it will operate in the same way. At this poing HandBrake will start scanning your disk. You'll see it start to count up the Titles on the disc, which we'll come to in a little bit. If the app freezes for what feels like a long time, it might be because you forgot to install the libdvdcss-2 library, or the install went wrong. This means HandBrake can't decrypt the DVD, and unfortunately it doesn't always let you know this. Cancel the current task, then try again after following the install instructions for your OS. Once it completes, you'll see the main screen. For our purposes, there are really four settings that matter. The first is the Range settings, which should have Chapters selected by default. Make sure all of your movie's chapters are included here (e.g. 1 through 40 in the below screenshot). Next, take a look at the Presets, which dictate the size and quality of the resulting video file. 1080p is good if you're going to watch on anything larger than a mid-size tablet. 720p is good for smaller devices, as you won't notice the difference in quality as much and 720p or less will give you a good balance of portability and quality. The higher the quality, the larger the resulting file size. Next, select the Summary tab (if not selected by default), select the Format dropdown menu, then select MP4. Select Browse in the bottom right corner to choose a destination for your output. Pick your folder and filename, then select Save to lock it in. Now that all your configurations are done, select Start Encode. You'll get an estimate of how long the process will take. Once it's done, your new video file is ready.